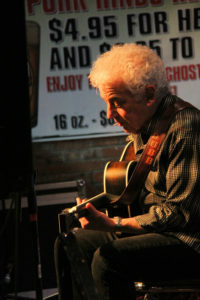 If there’s ever an artist performing today who is a troubadour, it would have to be Doug MacLeod. Constantly on the road, performing mostly solo while telling stories of his lifetime, the man has few equals who can engage and capture an audience as completely as he so easily does. He has played with many of the legends of the blues and learned firsthand at their feet. Carrying on the tradition, his albums and his performances have earned him perennial Blues Music Award recognition. His shows will always leave you thinking and his humor will place a smile on your face every time. Doug MacLeod will be returning to the Northwest in promotion of his newest release Break The Chain, with shows in Oregon and Washington. 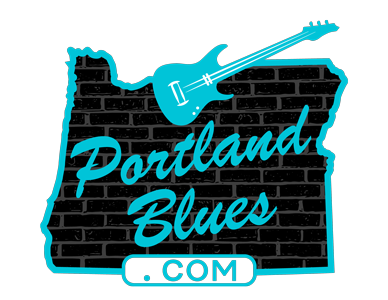 Catch his Oregon performances starting out with a free, short, live in-store appearance at Music Millennium, 3158 E Burnside Street in Portland on Friday, June 16 at 6:00 pm. On Saturday, June 17, MacLeod will be in The Dalles performing for a benefit for Ole St Peter’s Landmark, 405 Lincoln Street. Tickets for this 7:00 pm performance are available for $20.00 at Waucoma Books in Hood River or at Klindt’s Bookstore in The Dalles. Opening the show will be fingerstyle guitarist Kit Garoutte. This is a stunning venue to catch and acoustic show. Then on Monday, June 19, Doug MacLeod returns to The Lake Theater & Café in Lake Oswego for what will certainly be another sold out performance at the venue. Located at 106 N State Street, tickets can be purchased in advance for this 7:00 pm show at Laketheatercafe.com for $15.00 general admission.